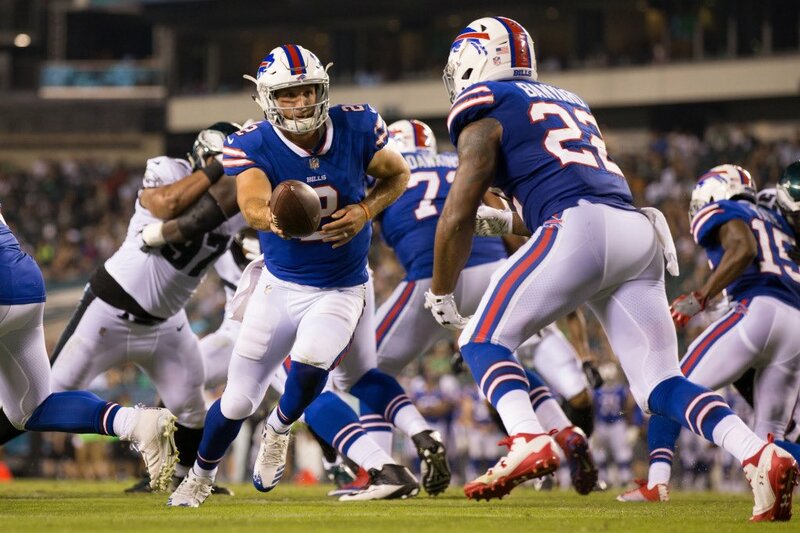 The Buffalo Bills and Philadelphia Eagles are teams that will have a lot of eyes on them during the first few weeks of the season. That tends to happen when you change head coaches as the Bills did after the 2016 season. It also tends to happen when you have a player everyone has high expectations for (like Carson Wentz). Even though it is only the second week of the preseason, fans want to see a reason to have hope. They want to see a reason to think this year is going to be better. They want a reason to believe. Well—neither of the first team units really gave fans much of a reason to believe this season is going to be better than last season. But it wasn’t all doom and gloom for both teams. Some good things happened along with the not-so-pleasant. As always at this time of year, it is important to remember that it is just the preseason. But that doesn’t mean the observations we can make are not relevant. Lots of mistakes on both sides of the ball for both teams; there were 23 penalties and seven turnovers between the two. For those who care about the score in preseason games—the Eagles won, 20-16. If Nathan Peterman can continue to grow the team may be willing to hand him the keys to the offense in the next year or so. He started off a little rough but ended the night 10-20 for 167 yards. Overall, he had a pretty good outing. As much as the Bills had to hate losing Ronald Darby, it appears they may be just fine with E.J. Gaines who had an interception in his first game with the Bills. He also had three solo tackles and a pair of pass deflections. Rookie Zay Jones showed some promise with three catches for 42 yards (targeted six times). Carson Wentz has his moments, but overall, his night was not great. Early on he overthrew Alshon Jeffrey a couple of times including once in the end zone on a third down on a third and goal. His numbers do not look bad (6-9 for 56 yards) but that is because he is completing nice, safe, short passes. Rookie Corey Clement (eight carries for 34 yards) was more impressive than LeGarrette Blount (five carries for eight yards) in the backfield. However, to be fair, Clement gained 24 yards on one carry alone. No running back is going to look decent for the Eagles if the offensive line doesn’t block better. Offensive lines are going to have a tough time with Eagles defensive lineman Derek Barnett this year. He made his third sack of the preseason Thursday night (Eagles had six as a team). 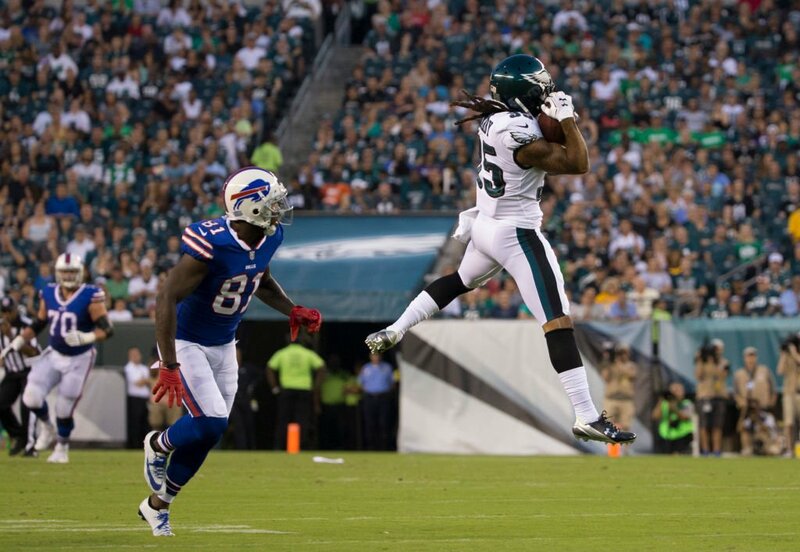 Ronald Darby wasted no time proving he was worth trading for by picking off his former team and returning the ball 48 yards (also had a tackle and two pass deflections). LeSean McCoy is easily the man of the hour. He didn’t play much (but did look good when he was on the field; four carries, 21 yards). But anyone that buys 200 cheesesteak sandwiches for his teammates deserves the unofficial game ball. Both teams have plenty to work on going forward. Buffalo will try to improve before the team takes the field against the Baltimore Ravens next week (8/26 at 7 PM ET). The Eagles will take on the Miami Dolphins next Thursday (8/24) at 7 PM ET.